How to Overclock iPhone to Run it Faster. iPhone 2G and 3G can run at 600MHz, but Apple has underclocked it to 412MHz. The iPhone 3GS can run at 833MHz, but it is underclocked to 600MHz. The iPhone 4S can run at 1GHz, but it is underclocked to 800MHz. 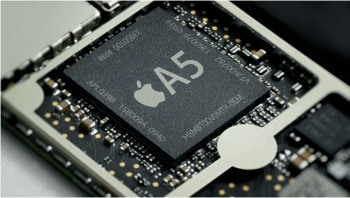 Although you will get decent performance with these clock speeds, your iPhone would perform much better if was allowed to run at its original speeds. It is actually very easy to overclock an iPhone or iPad. Lets see how. How to overclock iPhone 2G, 3G, 3GS, 4S and iPod Touch. Scroll down to find the file "com.apple.SystemPowerProfileDefault.plist" and rename it to "SystemPowerProfileDefaultbak.plist". You can actually rename it to any name that the system won't recognise. For iPhone 4s, the file is called "com.apple.PowerManagement.plist"
That's it you have an iPhone with the processor running at its native clock speeds. "com.apple.SystemPowerProfileDefault.plist" is the system file responsible for limiting the clock speeds to a lower value. Without it, the beast is unleashed with its full power. iPhone 5 does not need to be overclocked. Its inbuilt dynamic clock scaling ensures that you get maximum clock frequency when you need it and reduces to lower ones when the phone is idle. The range is 500Mhz when idle and up-to 1.3GHz on full load. Unlike a permanently overclocked iPhone 5, the dynamic overclocking ensures maximum battery life for you iPhone 5. Running at higher speeds will definitely reduce the processor life. But usually life means a LOT of years, so you don't have to worry about that. Another important thing is that running at higher clock speeds means the processor will generate more heat. Usually this will happen only if you run heavy apps for a long time. But if you find your iPhone or iPad overheating after overclocking, make sure to terminate apps and let it cool down. U right ,don't work with 4 ios 5.1.1 either, tested with SysDoctor, cpu exactly the same. First make sure your phone is jailbroken. Doesn't work on ios 5.1.1 on the 4S. where is the file located in 3gs running ios 5.1.1??? Depends on whether your processor is already at the full speed or not!!! How to Reinstall Your Android Apps After Uninstalling or Phone Reset. The Legacy Behind Google's 'j' and 'k' Keyboard Shortcuts. What Google Knows About You. Almost all iDevices like iPhone 2G, 3G, 3GS, 4S or iPod have underclocked processors. Here's a trick to run them at native speeds and improve performance.